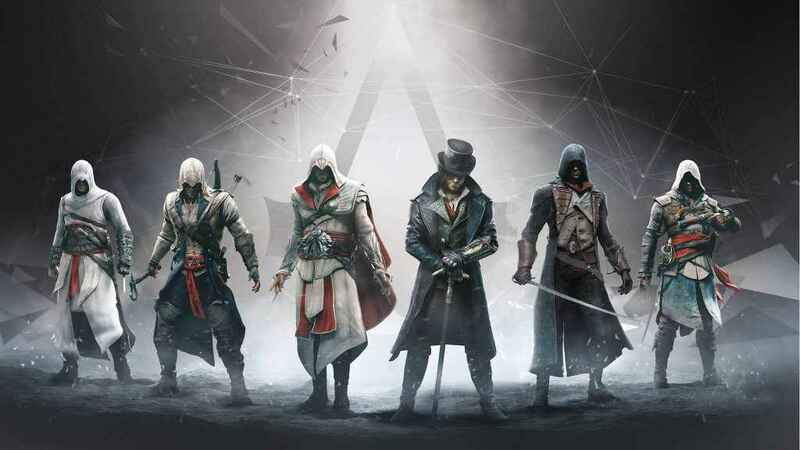 Since 2007 there have been a veritable onslaught of Assassin’s Creed games released by Ubisoft since the series inception, and while each is linked by a common narrative, there is most certainly a qualitative pecking order in place. 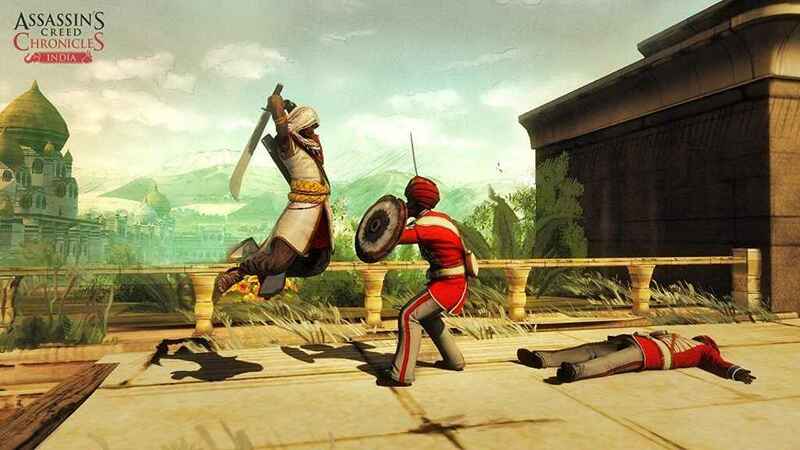 Side-on stealth platformers that were spun out of the core franchise, the three installments of Assassin’s Creed Chronicles whisked players away to a range of new locations and time periods such as 15th century China, 19th century India and early 20th century Russia. 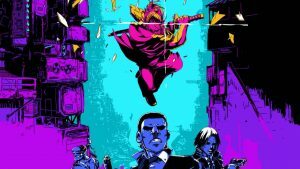 Assassin’s Creed Chronicles sadly failed to encapsulate the essence of the core series, making this trio of spin-offs feel desperately superfluous as a result. Sadly, while the change of settings and heroes were welcome (it was nice to actually play Ezio’s protege Shao Jun, at last), the sluggish controls, rote stealth gameplay and uninspiring writing were not and largely failed to capture the appeal of the core series. A shame really, as we still believe that a decent 2D take on the Assassin’s Creed series can be achieved – however Assassin’s Creed Chronicles just isn’t it sadly. When Assassin’s Creed made its debut back in November 2007, there wasn’t anything quite like it on the market. An opulent and frequently breathtaking hybrid of open world adventure, stealth, parkour and a story that rather vigorously humped the leg of Dan Brown, it’s fair to say that many were taken with the game that started it all nearly 11 years ago. Where it all began – future titles would build upon the basic foundations of the first Assassin’s Creed with aplomb. All the same, there is still a great deal of creative mileage left in its Crusades Era setting. However, it wasn’t long before cracks began to appear in Assassin’s Creed seemingly impeccable facade. Repetitive mission design, an overly convoluted plot and face numbing amounts of busywork all added up to an effort that was decidedly less than the sum of its shiny parts. 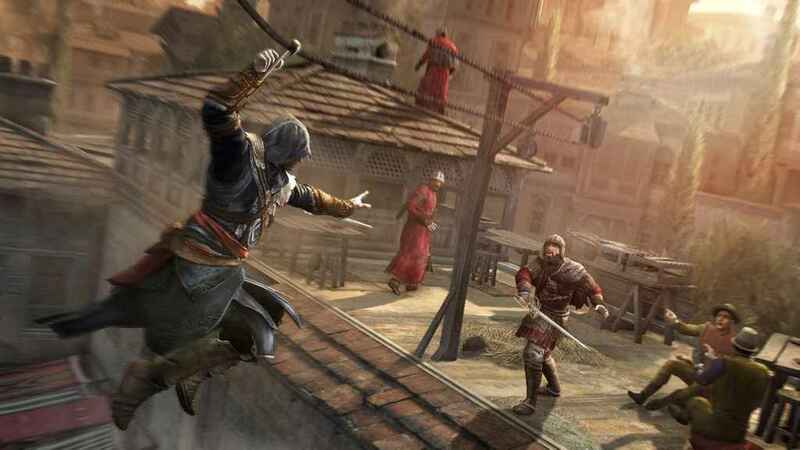 Nonetheless, while the very first Assassin’s Creed was arguably one of the lesser entries in the franchise, it’s crusades-era setting is still one that deserves a series return. 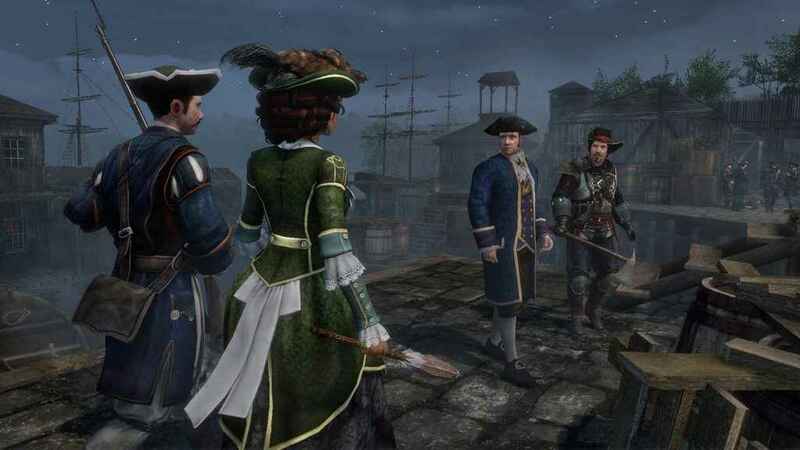 A series first, Assassin’s Creed III: Liberation broke the mold by allowing players to step into the boots of Aveline, an Assassin who must undo the influence of the Templars in her home of 18th century New Orleans. Though technically impressive in its PS Vita debut, Assassin’s Creed Liberation didn’t do quite enough to allow it to stand shoulder to shoulder with the series core offerings. 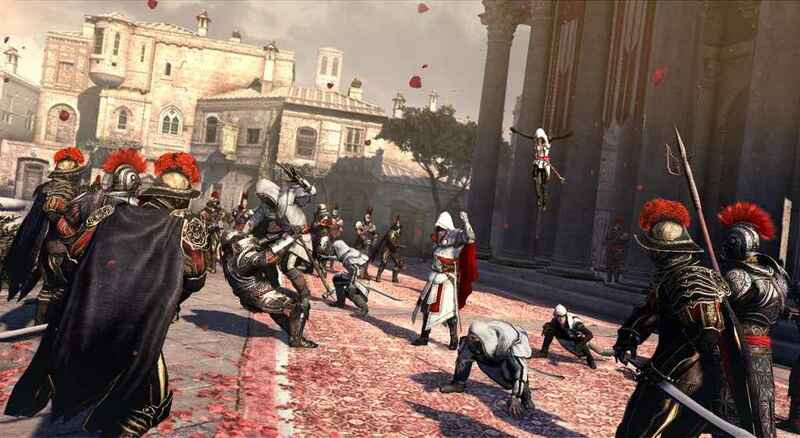 A streamlined take on the traditional Assassin’s Creed formula, Liberation offered little that was truly new to the franchise outside of its bold choice of main protagonist. If anything, Liberation is perhaps more fondly remembered as providing Sony’s beloved PS Vita handheld with an Assassin’s Creed experience that was as close to full-fat as it was ever going to get. Like Assassin’s Creed III before it, Assassin’s Creed III: Liberation is also set to undergo extensive remastering when it is released on PS4 sometime early next year. The final part of the Ezio trilogy, Assassin’s Creed Revelations whisked our now aging hero off to 16th century Constantinople and bringing his tale to a close in the process. 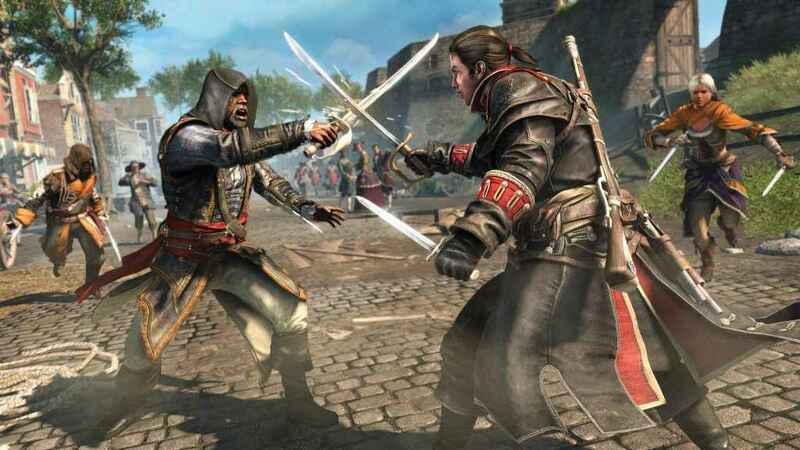 By bringing little new to the table, Assassin’s Creed Revelations wasn’t quite the closer to the Ezio trilogy that we hoped. Though a glossy and ultimately decent enough end to the trilogy, Assassin’s Creed Revelations simply felt like the developers had ran out of ideas as the game failed to be implement any new features to meaningfully separate it from its predecessors – a shame given the creative toy-box of possibilities that this entry in the series held. Set in 18th century New York City and Boston and boasting a shiny new engine *and* a Native American protagonist, Assassin’s Creed III looked like the reboot that the series needed – well, on paper anyway. Though the shift to a new engine and the Revolutionary War were welcome, the presence of Conor as Assassin’s Creed III’s main protagonist was not. While the breathtaking sweep and spectacle afforded by the improved visuals and evocative Revolutionary War setting proved compelling, Assassin’s Creed III’s protagonist sadly proved anything but. Though his Native American background was interesting, Conor himself sadly was not and roundly disappointed players with his overly stoic nature and one-dimensional writing. Worse still, the disappointment was compounded by the fact that Assassin’s Creed III started you off by playing as the deliciously slick Templar agent Haytham Kenway before switching over to Conor for the rest of the game. Truly, this was the worst character switch swerve since Metal Gear Solid 2. Nevertheless, we’ll all get a chance to see if Assassin’s Creed III fares any better second time round as a heavily remastered version of the game is set to release on PS4 early next year. Meme-worthy visual bugs aside, Assassin’s Creed Unity certainly aimed high enough. Set in Paris on the eve of the French Revolution in 1794, Assassin’s Creed Unity was a game of firsts, bringing a new engine, reworked parkour and co-operative gameplay to the series. Though afflicted by bugs and an overwhelming amount of busywork, Assassin’s Creed Unity spared no expense in terms of its lavish visuals. 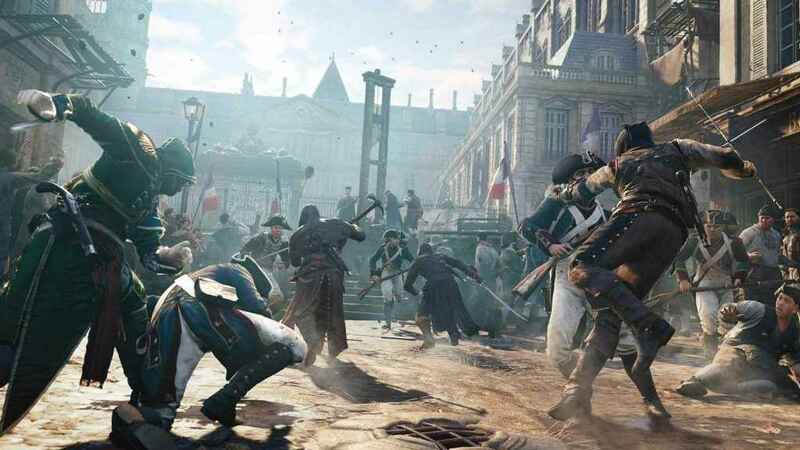 Additionally, built from the ground up with the muscular architecture of the PS4 in mind, Unity’s depiction of Revolutionary France was stirring – detailed period structures and thronging Parisian crowds all combined to create the most detailed world seen in the series to date. Unfortunately, the execution left something to be desired. Between those meme-worthy visual bugs that would horrifically strip the skin from the faces of some NPCs, through to the overwhelming amount of busywork the game thrust upon the player (the world map is quite literally smothered in way point icons), Assassin’s Creed Unity never ended up being quite the game it should have been. Using the 18th century set Seven Years War as a backdrop, Assassin’s Creed Rogue was a functional continuation of the traditional series beats and high-seas swashbuckling gameplay that Black Flag so deftly married. Though hardly stellar, Assassin’s Creed Rogue nonetheless provided an ample extension of the open-world high seas goodness that Black Flag brought to the series. 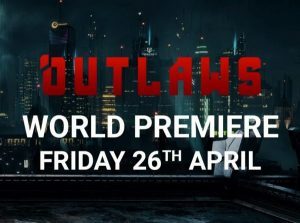 Though Rogue was good but hardly exceptional, the insight into the Order of Assassins and the duplicity that lay within both added additional texture to the long running power struggle between Assassin’s Creed’s two longstanding opposing sides. While Assassin’s Creed Rogue brought little new to the series in the wake of Black Flag, it still provided a roundly entertaining prospect for players who hadn’t yet tired of the series newfound naval exploits. A remastered version of Assassin’s Creed Rogue released on PS4 in 2018, boasting increased visual detail and all the previously released DLC. 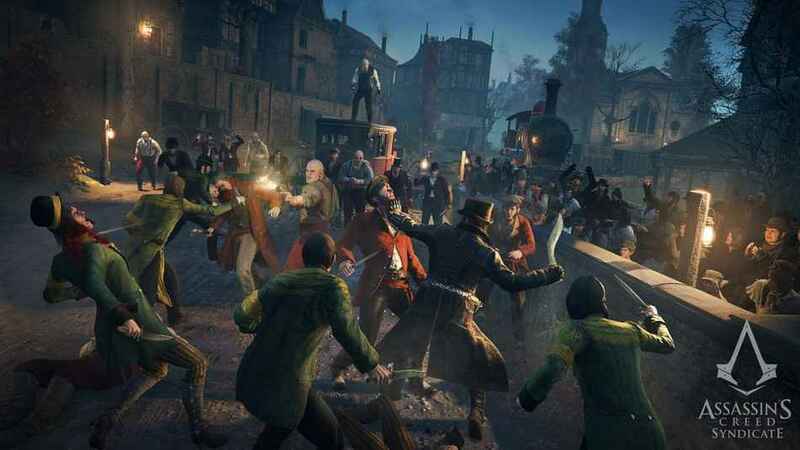 Essentially a more slimline and much less buggy take on Assassin’s Creed Unity, Assassin’s Creed Syndicate took the series longtime Templar and Assassin feud and dumped it into Victorian-era, 19th century London with surprising results. Though not a massive leap over Unity, Assassin’s Creed Syndicate’s evocative depiction of Victorian London proved to be hugely compelling. Though the series trademark busywork had not been completely done away with, Assassin’s Creed Syndicate nonetheless impressed with the ability to switch between a pair of sibling Assassins, missions that involved the likes of Charles Dickens and a deeply romantic depiction of Victorian London that was all cobbled streets, foggy alleyways and famous landmarks. Arguably, Assassin’s Creed II was a turning point for the entire franchise going forward. In addition to rubbing shoulders with luminaries of the Italian Renaissance such as Leonardo da Vinci and Michelangelo, Assassin’s Creed II’s narrative was kept ruthlessly engaging by the sheer fact that it’s hero, Ezio Auditore, was outrageously charismatic and great fun to play. Assassin’s Creed II was in every way a better game than its predecessor, and would set the series soaring to new heights. Equally, the lavishly rendered world of Renaissance Italy was a joy to wander about in, and though the specter of repetition hadn’t been banished, Assassin’s Creed II offered so much to do in such a lushly detailed world that you often didn’t mind. Assassin’s Creed II was remastered and later released on PS4 in 2016 as part of The Ezio Collection. Easily the best of the ‘old’ Assassin’s Creed formula before the series decided to take a wander into decidedly RPG style pastures, Assassin’s Creed Brotherhood remains a robust series highlight. Assassin’s Creed Brotherhood remains a shining example of the ‘old’ series template. 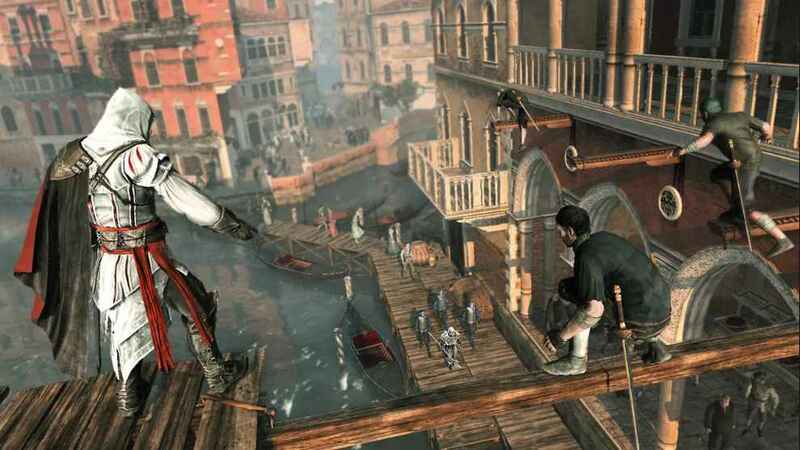 Not only did it introduce competitive multiplayer (sadly removed from the PS4 version), but Brotherhood shifted it’s Florentine setting to 16th century Rome and in doing so provided the series with one of its finest settings and a commendable refinement of everything that was done in Assassin’s Creed II. 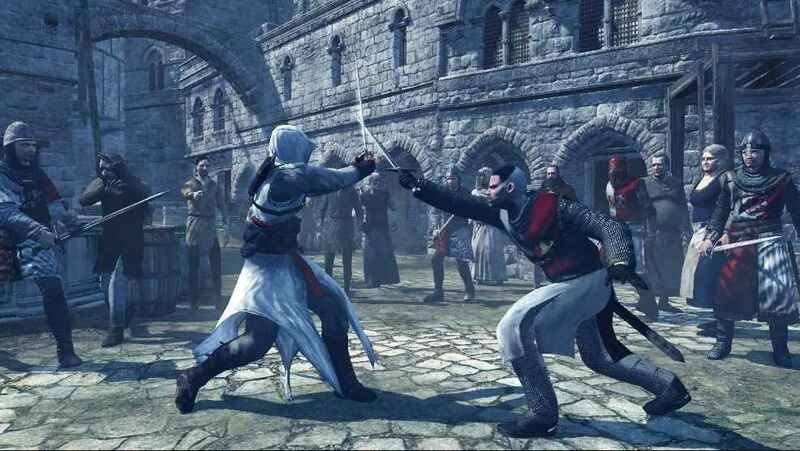 Assassin’s Creed Brotherhood was remastered and later released on PS4 in 2016 as part of The Ezio Collection. Taking place during the Golden Age of Piracy in the 17th century Caribbean, Assassin’s Creed IV: Black Flag put players in the sun-bleached britches of Welsh pirate Edward Kenway as he roamed the high seas in search of fame, fortune and eventually Templars. Assassin’s Creed IV: Black Flag’s mixture of traditional series beats and refreshing high seas adventure was masterful. 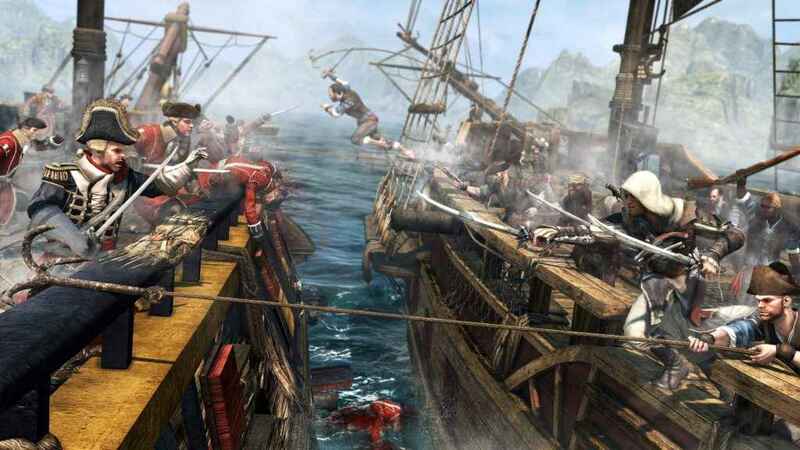 A maturation of the traditional series template up to that point, Black Flag blended in highly satisfying naval combat and exploration to really set the game apart from other entries in the franchise. Whether you were sprinting across sparkling white sands in the pursuit of treasure, boarding an enemy vessel during ship to ship combat, or, just sailing along listening to sea shanties, Black Flag excelled in capturing the Golden Age of Piracy like no other game. Even now, Assassin’s Creed IV: Black Flag remains not only one of the better games in the Assassin’s Creed franchise but also one of the finest open-world pirate games ever made. 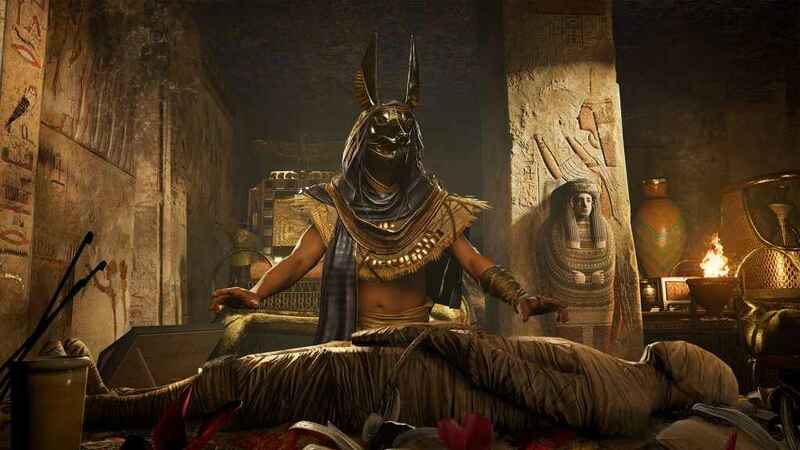 The first entry in the Assassin’s Creed franchise that would take it wandering down RPG Boulevard, Assassin’s Creed Origins transplants the action to Ancient Egypt and casts players as Bayek – an exile who must combat the Order of the Ancients, a precursor organisation to the Templar Order. The first Assassin’s Creed title to embrace the shift to an open-world RPG style of play, Origins still remains one of the best entries in the series. In addition to the shift to the beautiful sands of Ancient Egypt, Assassin’s Creed Origins also brought the open-world RPG template that Odyssey would later improve upon. Boasting a massive world with a variety of side-quests to take on, a paring back of the series traditional busywork and a new Dark Souls style combat system that demands skill over just hammering the counter button, Assassin’s Creed Origins represented a bold new direction for the series and proof that the franchise was all the better for taking a year off. Sitting at the apex of Ubisoft’s long-running franchise, Assassin’s Creed Odyssey emphatically completed the series shift into a full blown, open-world RPG and proved that the franchise was long destined to exist in the genre. Assassin’s Creed Odyssey completes the series transition into a full-fledged, open-world RPG and stands tall as the best entry in the franchise to date. 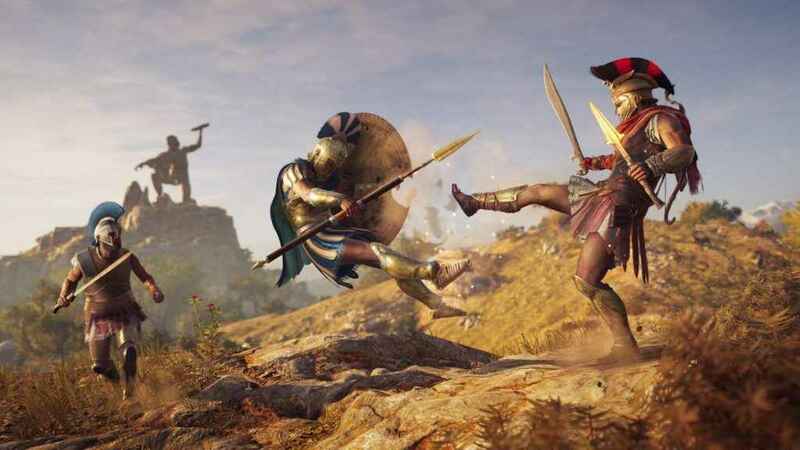 Allowing players to choose between two different characters with new branching dialogues, multiple endings and hilariously well-written side quests, Assassin’s Creed Odyssey thrust players into an ancient Greek mythological adventure the likes of which we haven’t borne witness to. More than that, it also gave players Kassandra – quite possibly the most sarcastic and dryly entertaining protagonist the series has ever seen. Assassin’s Creed Odyssey isn’t just the best Assassin’s Creed game money can buy, it’s also a thunderously great open-world RPG in its own right, too. Do you agree with our rankings? If not, let us know in the comments below how you would rank the Assassin’s Creed games! Don’t really like the new direction for the series and thought AC4 was too ship focused. The new games would not be on my list, but the ranking is pretty accurate except I would swap Syndicate and Unity. Couldn’t get into 4, but enjoyed Rogue. If you don’t like water and land being split 50/50, I would swap the games but move Rogue behind Unity just before Syndicate. Brotherhood>AC2>Unity>Rogue>Syndicate>AC3>AC1 and toss up between 4 and Revelations. Thank you for this. This was helpful to know because I plan to eventually play one of these games and don’t want too much focus on fighting at sea. NP. If you are playing series for first time, AC2 best place to start. It fixed the issues people didn’t like in original. Brotherhood improved the gameplay and included some fun animus tutorials. Revelations was a less fun version of prior games and introduced weird mini games that felt out of place. Enemies also felt more difficult. 3-4 sped up combat, streamlined the climbing, and introduced ship battles. Unity felt like a complete revamp for the series, a “Return to Form” kind of game. 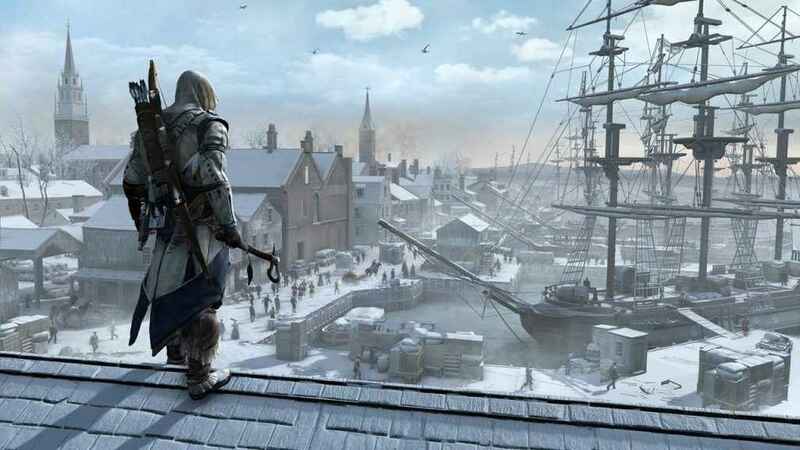 Best looking AC game to date with best customization, parkour and lots of side missions. I think game was hindered by micro transactions and early bugs that I personally didn’t feel damaged the experience. Syndicate was fun, but felt like a parody or cartoon version of the series where the makers just let loose. Rogue was the last game I played. Felt it had an interesting protagonist and not bogged down by too much ship battles. It was short and sweet and had one of the best endings of all games. Thank you for the time dedicated to write down this recommendation to another fellow gamer. I greatly appreciated it since I had no idea where to start and now i do know. Always a breath of fresh air to come across mature and educated people on the internet. Feel free to send me a psn friend request. I’ll be online more especially with Red Dead Redemption around the corner. The rpg elements from the last two games save this series though. It wouldn’t have lasted much longer without it. I love sneaking but it always felt weird using stealth to clear a camp/base when in the back of my mind I knew I could just clear it out in 1/4 the time if I just roll up and start swinging. Combat was WAY too easy before. Not to say they aren’t good, they’re just not my kind of games. I don’t really enjoy leveling up and prefer mostly running around, climbing, and taking out guards. I can see that that gets old for lots of people, but that’s what I liked about it. The games made you feel like you were a ninja or something. We did get a lot of games, so it probably needed to change. I just wish it changed more in the direction of Unity instead of RPG style adventure. Best are AC 2 and Black flag. Black Flag and Brotherhood, but close enough. I’m with you. This article came out months ago before I played any of the new AC games. My ranking of games I played was Brotherhood>AC2>Unity>Rogue>Syndicate>AC3>AC1. I did not like Revelations or AC4, so they didn’t make the list. After recently playing Odyssey for a good weekend, I’m enjoying it a lot. I can see myself sinking more hours into it. The story and setting so far are really good and Kassandra is a great character. While I am still trying to get into Witcher, Odyssey was able to pull me in. It feels much more easier and fun to play. It also takes a lot of inspiration from games like GOW and Shadow of Mordor. Since I did not finish it, I cannot put it in my ranking, but if the game continues to be as good as it is. It deserves its place. It might not feel like AC of old, but is a fun game. I will miss the series of old, but will now just enjoy each game for what it is instead of what it was.